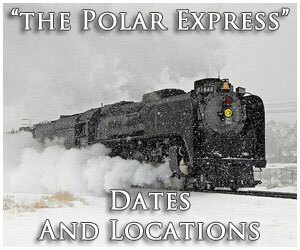 In the present day, Wyoming train rides are not available, either as tourist attractions (excursion trains) or long-distance via Amtrak, our country's national passenger carrier. A long time ago the Cowboy State enjoyed such service under three carriers; Union Pacific, Chicago & North Western, and the Chicago, Burlington & Quincy. The former provided the most coverage; its main line to the Pacific Northwest and Southern California (it also reached San Francisco through a partnership with Southern Pacific) ran the state's southern fringe while an eastern terminus at Omaha, Nebraska enabled access to Chicago through an affiliation with the Chicago & North Western (after 1955 this connection changed to the Chicago, Milwaukee, St. Paul & Pacific, or the "Milwaukee Road"). Today, UP serves all of these points directly and is North America's largest and most profitable railroad. 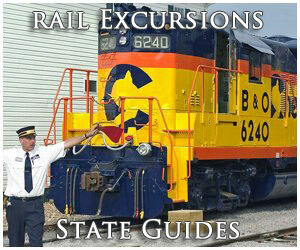 The information presented here provides a brief history of Wyoming's railroads and highlights its few railroad museums. 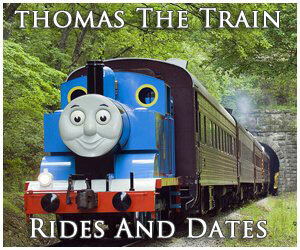 Also include is a list of preserved steam locomotives and where they can be visited. Today, Wyoming is primarily served by the West's two largest railroads; Union Pacific (which still maintains the original Transcontinental Railroad corridor) and BNSF Railway (operates former lines of the Chicago, Burlington & Quincy through central and northeastern Wyoming). 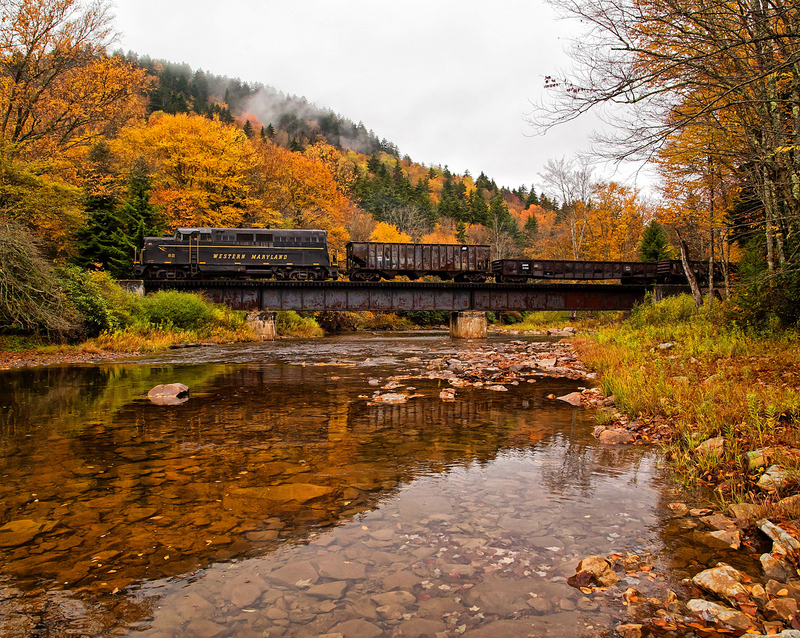 From a railroad perspective the state is historically known for its agriculture, some coal, and a multitude of lesser types of freight (less-than-carload traffic, minerals, aggregates, etc.). Generally, however, it served as through main lines for the previously mentioned Union Pacific and CB&Q. The former also maintained strategic shops at Cheyenne (Once its main shops complex, in fact. The town was created and named in July, 1867 by UP's Greenville Dodge in honor of the region's dominant Native American tribe.) where its transcontinental line and Denver corridor converged while further west at rural Granger its Oregon Short Line route to the Pacific Northwest split away. Finally, the Chicago & North Western operated its so-called "Cowboy Line" as far west as Lander. What was essentially an extensive branch began as C&NW's attempt to reach the Pacific coast, an endeavor which ultimately failed when the railroad ran out of money. For Wyoming, everything changed during the late 1970's when clean burning coal from the Powder River Basin region suddenly surged in demand. What was then Burlington Northern (created in 1970 through the merger of Northern Pacific; Great Northern; Chicago, Burlington & Quincy; and Spokane, Portland & Seattle) was well positioned to reap the benefits of this new business through its former CB&Q lines. The C&NW was as well, although its Cowboy Line had been badly neglected for years and was in no shape to handle heavy coal trains. The history of this corridor began in the 19th century during the railroad's aggressive expansion across the Midwest where it was able to reach important cities such as Council Bluffs/Omaha, the Twin Cities, St. Louis, Green Bay, and Duluth. Access across much of Nebraska, western South Dakota, and Wyoming was thanks to a subsidiary known as the Fremont, Elkhorn & Missouri Valley Railroad. This road was organized on January 20, 1869 and quickly began extending west from Fremont, Nebraska where it connected there with the Sioux City & Pacific (also acquired by the C&NW). After only two years the FE&MV (the so-called “Elkhorn Route”) had reached Wisner, 50 miles away. Construction was slowed by 1873's financial panic but picked up later that decade and by 1879 rails had reached Oakdale. Over the next 10 years the railroad further expanded; by 1886 it had reached Casper, Wyoming and extreme western South Dakota via Rapid City. Through its FE&MV subsidiary the C&NW was the first to enter this region (other railroads to later arrive here included the Milwaukee Road and Chicago, Burlington & Quincy), which was in the midst of the great Black Hills Gold Rush. The C&NW acquired control of the Elkhorn Route in 1884 but did fully absorb the FE&MV until 1903 according to Tom Murray’s book, “Chicago & North Western Railway.” The Cowboy Line (also known as the “Lander Line”) boasted a 560-mile corridor between Fremont and Casper; as the C&NW continued to push west it reached its furthest point, Lander, in 1906. It is said management had grand ambitions of opening a fully transcontinental route to the Pacific coast although construction never continued beyond this small western outpost. In the end, the Cowboy Line became little more than a long agricultural branch but one in which did provide the North Western with considerable freight. According to the Nebraska Game & Parks Commission in 1932 the corridor served, “…66 farm dealers, 117 coal dealers, 48 grain elevators, 55 lumber dealers and 128 gas/oil receivers.” Alas, much of the traffic was eventually lost to improved highways and the growing trucking industry after World War II. 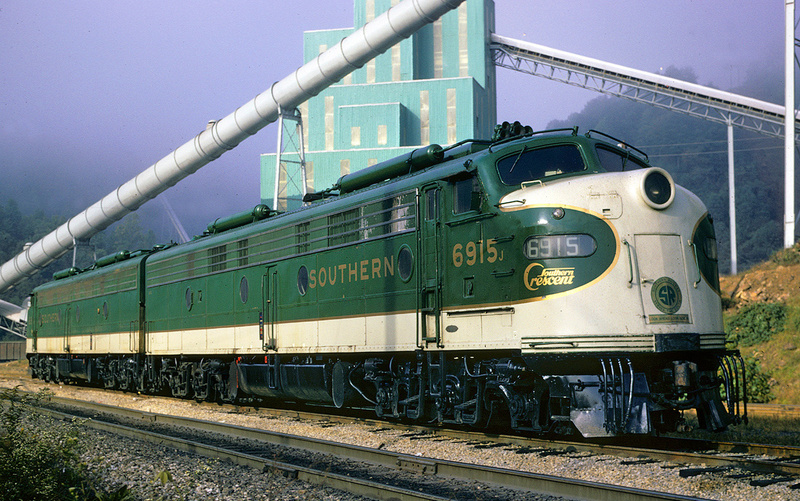 The Chicago & North Western witnessed its fortunes fall and rise throughout the 1950s and 1960s although it continued expanding during this time by acquiring such smaller systems as the Minneapolis & St. Louis, Chicago Great Western, and Fort Dodge, Des Moines & Southern. While the railroad served several large cities it was built around the movement of agriculture and much of this traffic disappeared during the latter 20th century. This included the Cowboy Line which had become an unwanted appendage by the early 1970s. As deferred maintenance mounted, train speeds decreased to a paltry 10 mph in many locations. 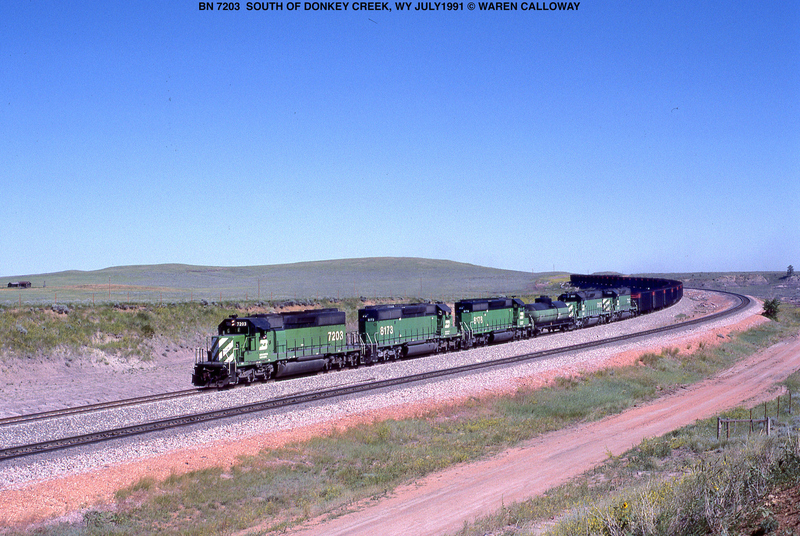 The railroad saw an economic resurgence during the 1980s thanks to low-sulfur coal mined in Wyoming’s Powder River Basin. 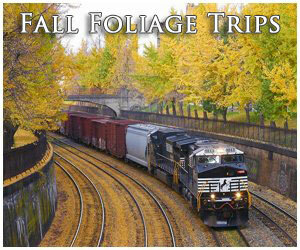 Its access to this lucrative business occurred through a partnership with Union Pacific. As previously mentioned, the Cowboy Line would need hundreds of millions of dollars in upgrades to handle such heavy coal trains on a daily basis. 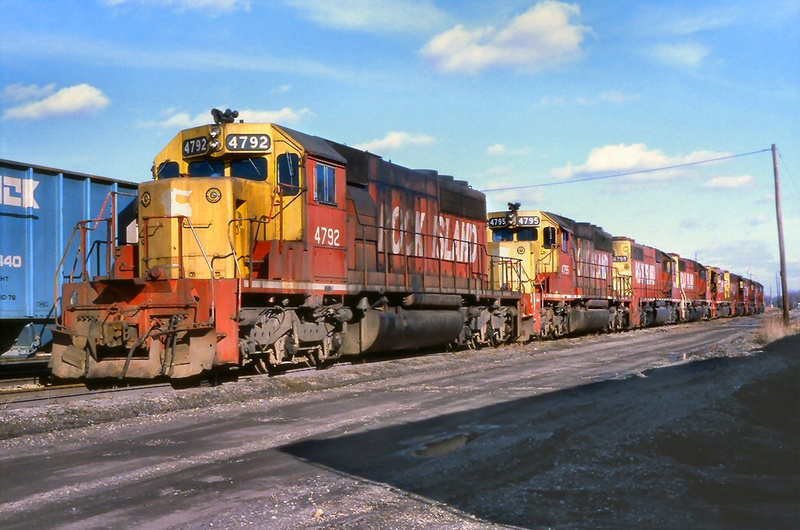 The railroad simply did not have this kind of cash although it initially attempted to work with Burlington Northern in operating a joint line within the region. Ultimately, as a means of gaining needed financing, UP became involved. A revised plan involved a new 55-mile connector between the western end of the Cowboy Line and a nearby UP route reaching western Nebraska/southeastern Wyoming. This decision proved less expensive and ultimately decided much of the Cowboy Line's fate. The new connector opened in 1984. Following a few years of additional use the C&NW petitioned the Interstate Commerce Commission (ICC) to discontinue service over the Cowboy Line's eastern component between Norfolk and Chadron (part of this right-of-way is now a recreational corridor known as the Cowboy Trail). The ICC would eventually grant abandonment of the route as far west as Merriman and the last train ran the line on December 1, 1992. Wyoming's involvement with the railroad began, of course, with the transcontinental railroad project. In his authoritative book, "The Men Who Built The Transcontinental Railroad, 1863-1869: Nothing Like It In The World," author Stephen Ambrose notes Union Pacific's route would depart Omaha, Nebraska and follow the Platte River until reaching northeast Colorado. From there the grade would navigate along Lodgepole Creek before breaking into present-day Wyoming. After the grading was completed, tracklayers became so proficient they could lay an average of 1 mile, and as many as 2 miles, every day! 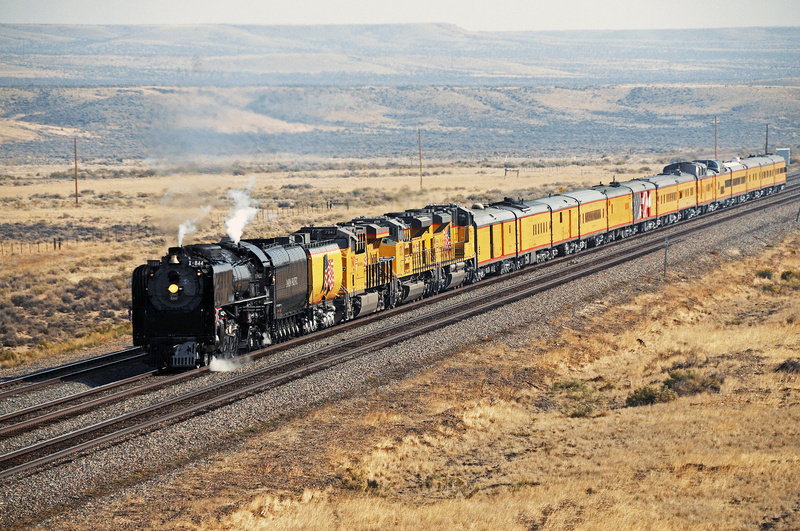 According to an in-depth analysis Trains Magazine published in its January, 2007 issue entitled, "Great Railroading: State-By-State," crews entered Wyoming in 1867 as they raced westward towards a meeting point with the Central Pacific. 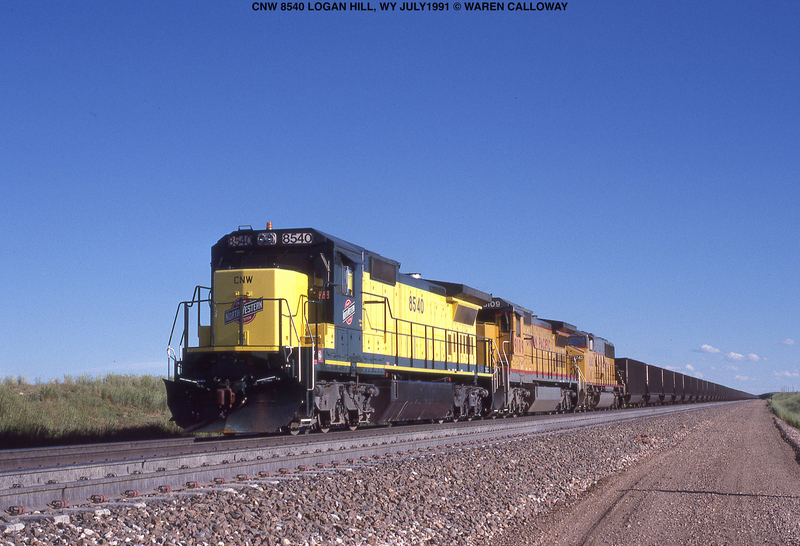 At its peak, the Cowboy State's rail mileage reached 2,065 miles in 1995, thanks largely to the rise in Powder River Basin coal. Today, according to the Association of American Railroads, this number has declined slightly to 1,890. To read more about the Transcontinental Railroad please click here. The Cheyenne Depot Museum, also known as the Wyoming Transportation Museum, is located in the former Union Pacific depot in Cheyenne. The museum was created as a means of preserving and presenting both the City of Cheyenne's railroading past and that of the Union Pacific, which has been operating through Cheyenne for more than 150 years. The museum is one of, if not the biggest draws to the city’s downtown area and was recently named a National Historic Landmark. The former Union Pacific depot, in which the museum is housed, is a very ornate structure designed and built by the architect Henry Van Brunt. The depot was completed in 1887 with a Richardsonian Romanesque design and towering clock tower as its centerpiece design. Today, only one other such distinctive railroad station designed by Van Brunt still stands, Union Station in Portland, Oregon. Located near the Douglas Chamber of Commerce the museum is housed within the former Fremont, Elkhorn, & Missouri Valley Railroad depot built in 1886 and later became part of the Chicago & North Western. Among its collection is preserved Chicago, Burlington & Quincy 4-8-4 #5633 (O-5a) built by the company's West Burlington Shops in 1940. This facility was originally built by UP in 1871 along with a machine shop and other auxiliary buildings. It was vacated by the railroad in 1971 and since 2004 the city has been restoring the complex for several reuses such as public events and the city hall.